The BMW 3 and 4 Series duo has long been the target of numerous praise and criticism from the automotive press. With such legacy behind the cars, and increasingly demanding expectations from consumers, without forgetting aggressive new entries from Alfa Romeo, Lexus and Jaguar, the pressure has never been so high for Bavaria’s finest. 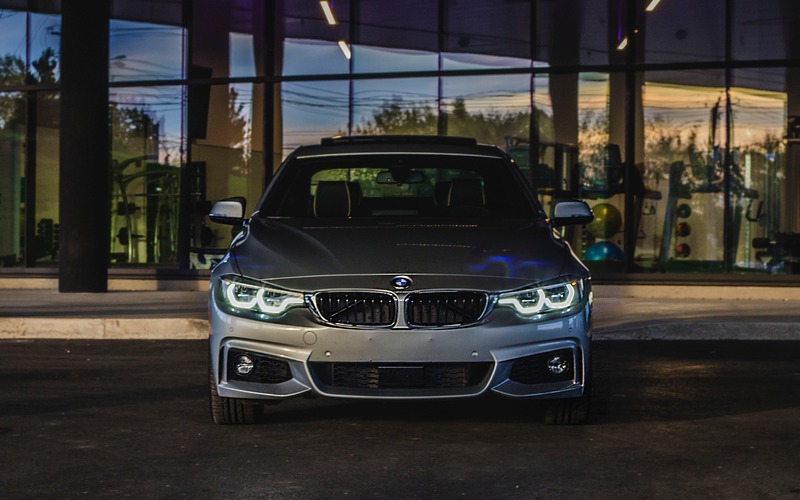 Many will argue that BMW’s compact sedan and coupe are no longer the benchmark in the segment, that they’ve lost their dynamic verve in favour of more luxury and technology. That’s actually half right. After spending an entire week in the 2018 440i xDrive, I can confidently affirm that yes, the 4 Series is in fact moving further and further away from its compact coupe heritage. But it remains a brilliant performance two-door nevertheless. 2018 is mostly a facelift year for the 4 Series. At first glance, the car seems largely unchanged—which is typical of BMW design—yet the entire front fascia was reworked, with all-new headlights and bumper. The rear was also considerably tweaked to give the car the illusion of having a wider stance. Inside, again, subtle, but significant revisions at key locations were applied, freshening up the otherwise Spartan cabin. There’s now gloss black trim on the centre console, contrast double stitching all around, a new grippier steering wheel and a vastly improved iDrive interface. Under the hood, it’s the same old recipe, but a proven one. 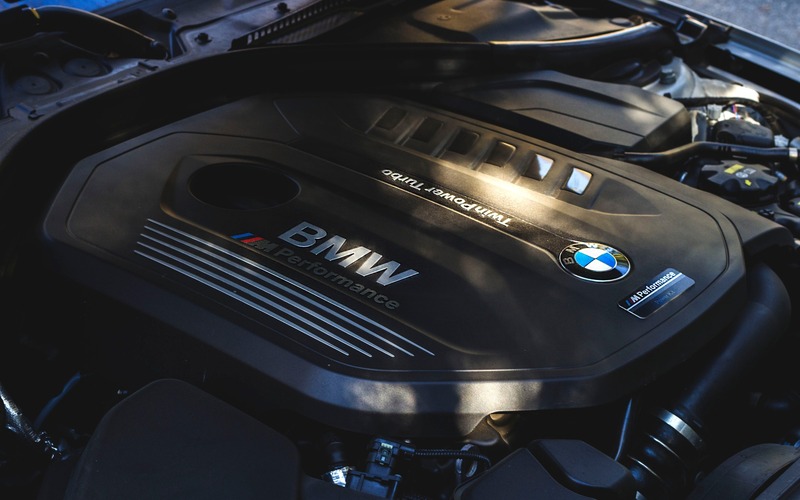 Power still comes from BMW’s now familiar 3.0-litre turbo six. In this configuration, it’s rated at 320 horsepower and 330 lb.-ft. of torque. My tester was fitted with the eight-speed automatic gearbox, but a six-speed manual remains available. The car you see here also came with the M Performance Package II, which adds the M Power Kit—see it as a factory-performed ECU reflash—as well as the M Performance Exhaust, which I admit, sounds absolutely ungodly. BMW’s compact coupe is now a big automobile. With a 1712-kg curb weight (for xDrive cars) and an overall length of 464 cm, the 440i wouldn’t exactly qualify for a lightweight boxing match. Incidentally, the added girth has a significant effect on the car’s handling. Don’t get me wrong, the classic BMW virtues of impeccable suspension balance, poise and athleticism remain, but the car now feels clumsy when hustled around tight bends. Gone is the taught, nimble chassis, turns-on-a-dime reflexes and scalpel-precise steering. These qualities have now shifted to the Alfa Romeo Giulia. Pushing the 4 Series hard in the twisties reveals excessive weight transfer felt in the form of noticeable nose dive and unwanted body motions. Sure, the car’s handling limits are high, but you constantly feel that you’re behind the wheel of a massive machine, which can make the car a handful when driving it like an ultimate driving machine. However, the bloated 4 Series has other tricks up its sleeve. The car now has a much wider track, allowing it to produce immense cornering grip, more so than any other “small” BMW coupe that came before it. The car’s chassis is stiff, composed, well-mannered, and rock solid. A considerably longer wheelbase than some of its rivals also elevates the 4 Series’ ride quality to near grand touring characteristics. In fact, that’s where you sense BMW’s Rolls-Royce inheritance; this car has never felt so mature. Ever since the German giant took over the British luxury road yacht builder, the entire BMW lineup has witnessed a noticeable upgrade in refinement, comfort and attention to detail. 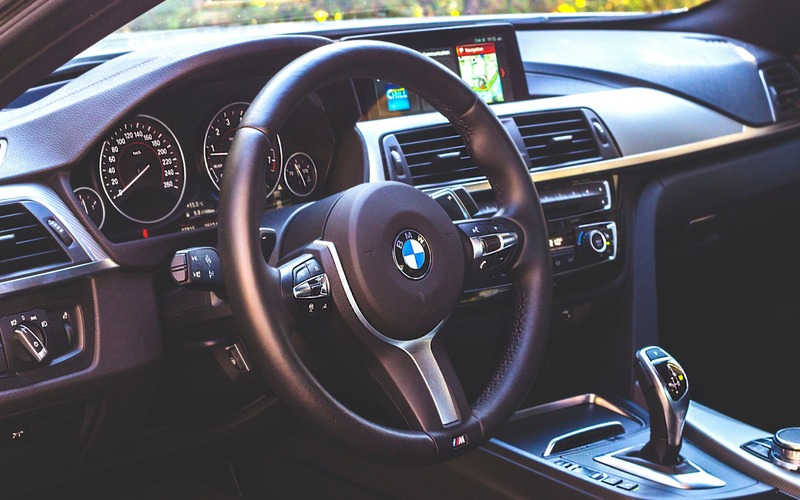 The cabin in the 4 Series, for instance, stays true to the simplistic, functional and timeless design theme we’ve come to love from these cars; all while incorporating the modern creature comforts and technology we all now take for granted. The front leather seats are enveloping, supportive and comfortable. The cabin itself is immensely quiet. And the latest iteration of BMW’s iDrive infotainment interface, still controllable from a centre console-mounted knob dial, is now presented through an all-new tile-type layout, with clear and colorful menus that are both enjoyable and easy to comprehend. But the iDrive learning curve remains steep, and the sheer complexity and available features would overwhelm even the most avid tech-savvy nerd. Is the 440i xDrive a quick car? You bet it is. Acceleration from a standstill to 100 km/h is claimed at roughly 5.0 seconds flat. The inline-six is smooth, loves to rev, is free of turbo lag or unwanted delays, and won’t be afraid to bounce off its rev limiter in a butter smooth demeanour. Where the 440i impresses the most is in the way its available drive modes drastically alter its character. There are four settings to choose from: Comfort, Sport, Sport+ and Eco Pro. Comfort is the default setting, turning the 440 into a relaxed, smooth long-distance luxury cruiser. Eco Pro massages throttle mapping, transmission shift points and alters the climate control’s ventilation system to improve efficiency. I recorded a 7.7 L/100 km average consumption rating while I had it. On the highway, it went all the way down in the fives! Set the car to its more performance-oriented setting, Sport, and the M Performance exhaust lightens up, filling up the cabin in a distinctive, yet almost ridiculous audible blur. That exhaust crackles, and pops upon throttle lift-off, scaring bystanders with the iconic braappp pow! exhaust farts these German machines have the ability to emit. In Sport+, steering response tightens even more and traction control is completely removed. Throttle response is sharpened, the adjustable dampers firm up, and the eight-speed automatic blips its gears faster than you can blink in authoritative, no-nonsense purposeful fashion. In this mode, this is as close as you’ll get to an M4. The big complicated coupe transforms into an apex-carving driving machine and the experience feels absolutely magical. Several cars offer different drive modes. Very few actually make a difference behind the wheel. The 440i is four cars in one. And they’re all excellent in their respective purpose. But as impressive of a machine as it is, the 440i remains a heavily complicated and frustrating one. The gear lever is an intricate labyrinth of unintuitive ergonomics. Manipulating wiper and blinker stalks is as hard to comprehend as resolving a Rubik’s Cube, and I’m sorry, but with a price tag that flirts the $74,000 mark, you’d at least expect your driving assistance package to include a lane keep assist system. My 440i did not have the feature, but a $30,000 Honda Accord gets it as standard equipment. 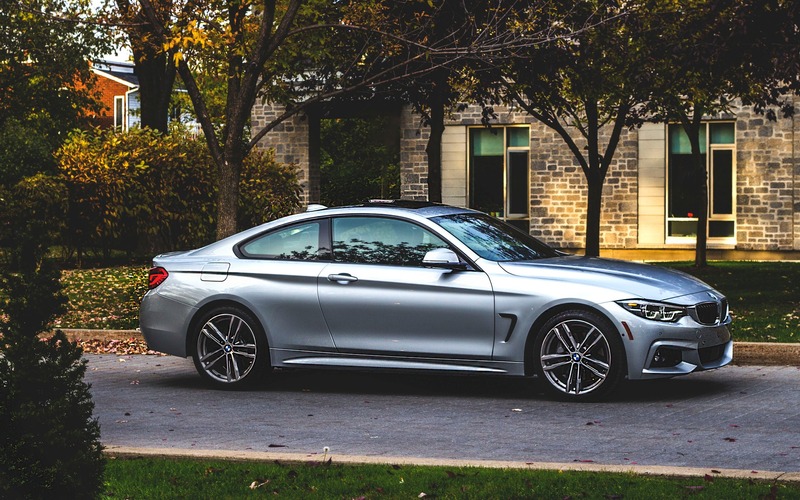 That all being said, here’s how I’ll sum up my review of the 2018 BMW 440i xDrive: it’s still very much a driver’s car, a proper German luxury coupe that envelops you and your passengers in utmost comfort, serenity and refinement. But the car sadly feels too distant from its roots, and is awkwardly sandwiched between the razor sharp 2 Series and the big-boy 6 Series. Sure, the 440i is a tasty coupe, but truth is, it’s now an overweight grand tourer, and its competition has caught up to it with much more driver-focused thoroughbreds. 6/10	We recorded a 7.7 L/100 km average. For a sports coupe with this much performance, that's excellent. 8/10	Thick supportive leather seats, quiet interior. Rear seats offer decent leg and head room. 8/10	Engine is a peach at any rpm. Loves to rev, gearbox is quick to react. Car is quick off the line. 6/10	iDrive is attractive, quick to react and user friendly, but there's a learning curve. The sea of available settings can be overwhelming at first. 8/10	Still a BMW: composed and sport-oriented handling, good power, entertaining and rewarding to drive hard. 7/10	Still a competent, well put together and immensely comfortable luxury coupe. But it's getting too large, heavy and complex, further distancing it from its roots.